Born in 1969 to Latvian parents, Vanessa Valda Krumins grew up as one of four children on a farm in rural Norfolk. A lively childhood home set in the wilds of the countryside was full of interesting and artistic influences. Her father an art lecturer at amongst others “Rose Brufords” college in London, and her mother making jewellery and embroideries. Painters, Weavers and Sculptor friends were regular visitors and with these infuences, Vanessa had the freedom from an early age to be creative. Painting her natural surroundings has always been an inspiration. 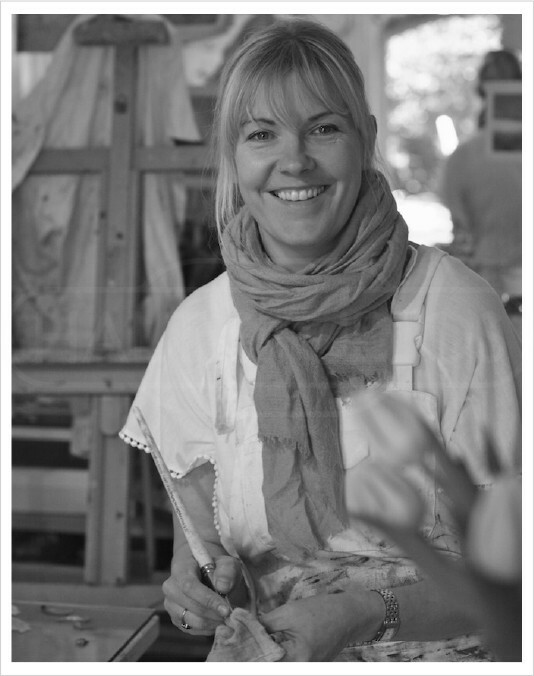 Having lived in Ditchling, East Sussex for many years, Vanessa recently moved to Devon. Her studio situated in the grounds of a former Mill and Railway Halt is a welcome calm from her busy family life with three young daughters, three cats, a Bulldog and a very patient husband ! Inspired by land, sea and sky, Vanessa’s paintings reflect a deep connection to nature. Working primarily in oil, many canvases are worked on at a time. A finished piece will go through many processes, layering washes, scraping back, scratching through to reveal hidden gems of pigment below. Broad spontaneous brushstrokes of bold intense colour are balanced with delicate, filigree mark making of equal intensity. A finished piece evolves creating a sense of place. Vanessa is a contemporary landscape, seascape artist, studied at the Norwich School of Art and has a degree in Fine Art Painting from Reading University. She has exhibited throughout the United Kingdom and has private collectors of her work.